Mandiant’s free Redline tool is designed for “triaging hosts suspected of being compromised or infected while supporting in-depth live memory analysis.” The new utility is meant to replace Audit Viewer, which was Mandiant’s earlier memory analysis tool. 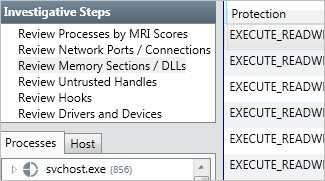 Both programs rely on Memoryze for capturing the memory image of the live Windows host, though they can also examine “dead” memory image files. Redline’s present version mostly mimics the functionality of Audit Viewer—albeit in a more streamlined interface. However, Mandiant plans to expand Redline “to include significant new capabilities unavailable in Audit Viewer,” according to the FAQ. Redline includes numerous other features that should prove useful to computer forensic analysts and incident responders. I’m looking forward to seeing this tool evolve.